Is It Good? 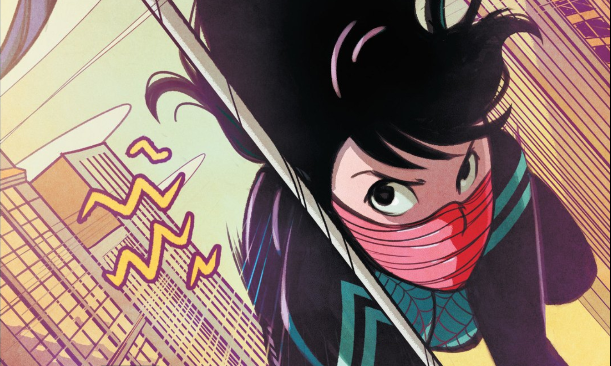 Silk #2 Review – AiPT! Marvel has three primo series right now with spider related characters and they’re all female. So far I’ve found Spider-Woman the strongest with Silk not far behind, but we’ve only seen one issue. How about #2? is it good? Last issue Silk was basically reintroduced to give new readers a handle on the character. She’s got a fluffy use of dialogue, is brand new to the superhero scene and is juggling a job at a TV station with J.J. Jameson as their lead host. This issue is extremely new reader friendly, partly because it reintroduces the character with a bit more detail this time around, but also because it fleshes out two main storylines it’ll be exploring moving forward. In some ways this is a better opening issue than the last one was, because it progresses the ex-boyfriend element far enough to be compelling rather than a tease. It has a more complicated conflict for Silk that begins this issue as well. The issue opens with the main conflict, then in customary comic book format flashes back a few hours earlier to show Silk at work, on a trail to track down her family and then finally the conflict catches up. It’s a nice flow of events and writer Robbie Thompson should be commended for the pacing. The character is also well written with fantastic dialogue throughout. Thompson has a lot of personal conflicts for Silk to deal with and it doesn’t feel cluttered, nor is it an overabundance of threads to follow. She has her family to find, but also the issue of leaving her boyfriend to protect him. When he does show up later in the issue it’s a doozy of a moment and it’s a testament to the writing that it’s this meaningful when we’ve only reached issue two. The art by Stacey Lee continues to impress with a cartoony, Michael Avon Oeming feel with a touch of manga. Lee tends to use fewer panels, which usually means a slower story, but the layouts are fun and balance drama with action well enough to not feel slow in the slightest. The flashback works wonderfully too due to a nice color palette change from Ian Herring. Lee also has a few fun page designs, including one double page spread of Polaroid-looking panels on a wall she’s using to track down her parents. Another page has Silk narrating her dual life as a superhero while handing out mail in the office and we get shots of Silk wrapping up bad guys in the art on the walls. Cool way to show the dual life she leads. An even better introductory issue than the last, although because of this those of us who read #1 might feel a bit slighted as it retreads much of its story. All in all though, a wonderfully paced issue.